Not long ago Verizon released a new, possibly better, option for families searching for their young child’s first phone. The GizmoPal by LG is a wrist-style phone that doubles as a tracker. The phone limits outgoing and incoming calls and does not allow texting of any kind. It includes several fun features and offers easy-to-use, limited connectivity. We were given the opportunity to review the GizmoPal (in blue) and the corresponding app over a 2 week period with our youngest (who is 7). We’re excited to share our experience! Details – Can be purchased at retail/full price or with a 2-year contract (price is currently the same for both). 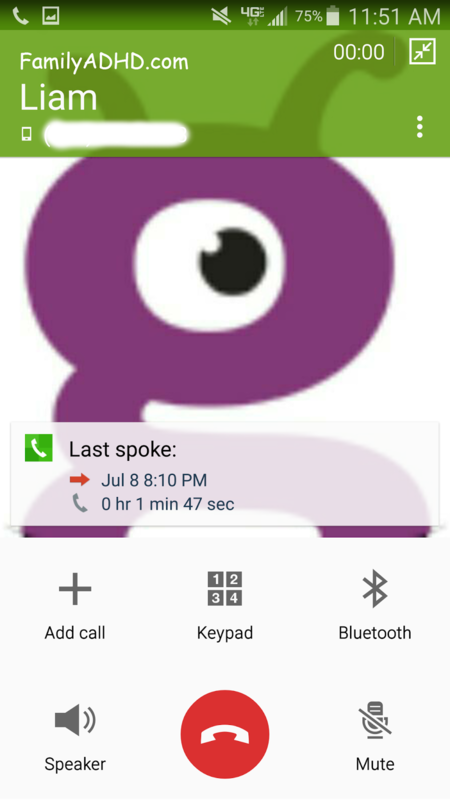 When we chatted with Verizon Wireless via chat we were told the total monthly service fee for adding a GizmoPal to an existing plan is $5/month. We were a bit fuzzy on whether or not it was $5 in addition to the regular cost of having an extra line, but the rep confirmed it was $5 total–pretty budget-friendly! Appropriate age for this device will be a really personal choice and likely vary from family to family; largely based on how the user feels about the design, size of his/her wrist, whether or not you wish him/her to be allowed to text, etc. Our oldest is 9 and we probably wouldn’t choose something like this for him, but this was a perfect fit for our 7 year old. 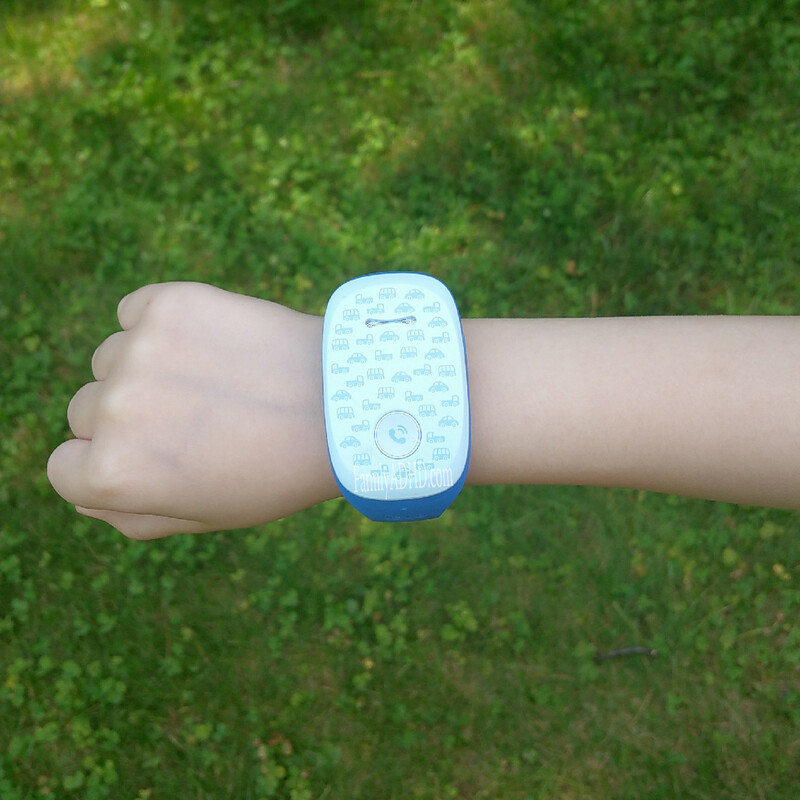 The Verizon GizmoPal is meant for kids ages 4+ and offers limited connectivity along with the ability to track your child through their phone. 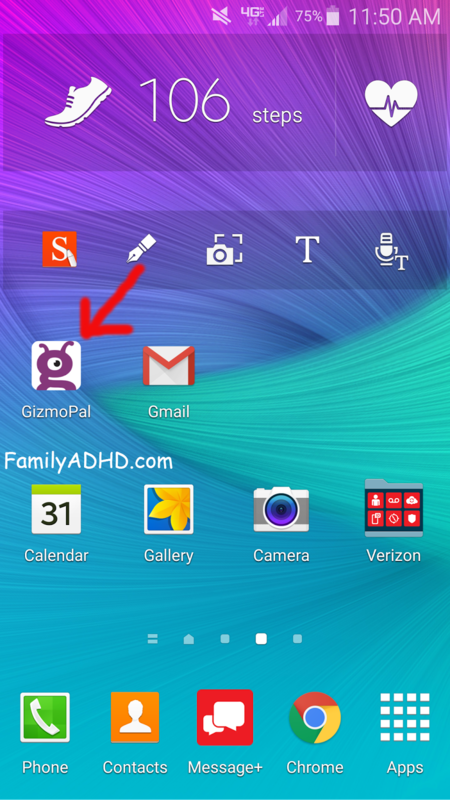 Our family spent 2 weeks testing both the GizmoPal device and app. We tried to cover ever possible scenario and function one would expect the device and app to be capable of handling. Keep in mind, we have 2 children that face different challenges so the desire for each of our kids to have a phone is based more on safety than social connectivity. Everyone is entitled to their opinions regarding kids and phones, but this review is meant or those interested in providing another bridge of access and communication between themselves and their child. Important Note: The GizmoPal is not waterproof. It is not meant to be submerged and while our son (who has some OCD tendencies) washed his hands frequently while testing this, he was careful not to submerge it. Our youngest loves to create videos on his own and wanted to do a video review of the GizmoPal to share with all of you in addition to our written review below! We found the GizmoPal fit our youngest nicely. He is a very slender, petite 7 year old (weighs 41 lbs), but it also fit comfortably on our 9 year old (tracks dead center in the 50th percentile for height/weight) and even Mom could wear it on the largest–though not as comfortably as the boys. It isn’t super heavy and although the face is a larger than the average child’s watch, we didn’t find it got caught on anything or impeded his activities in any way. 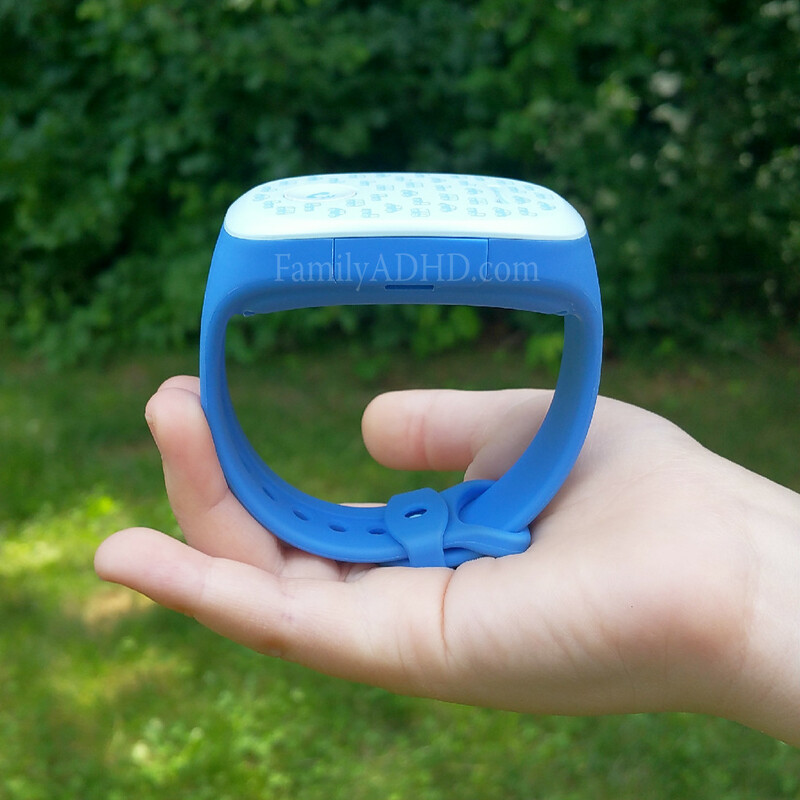 Our youngest has a lot of sensory issues and he did not have any issues wearing the GizmoPal. He was particular on how he wanted it to be adjusted and sit on his wrist, but he liked how smooth it was. The Verizon GizmoPal fits on the wrist like a large wristwatch and has a firm yet flexible rubbery feel similar to a MagicBand from Disney. The GizmoPal fixes to the wrist with a little nubby that pushes snugly into the holes along the band. Then a second mini-band fits securely over both to keep it in place. We had absolutely no issues with it slipping off or coming undone on our youngest over the 2 weeks he wore it. 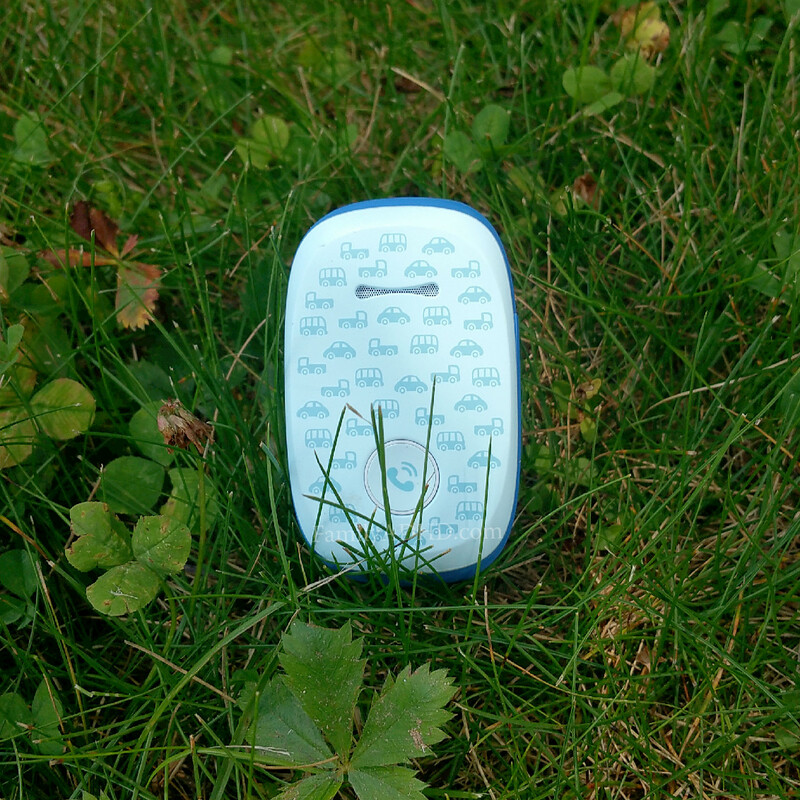 The face of the GizmoPal is very user-friendly, even for children in our opinion. It has a small speaker and a single button, which flashes green when it’s on and red when it’s low on battery. It comes in 2 colors–blue and pink–with graphics on the face. The Verizon GizmoPal’s simple design makes it easy for little ones to quickly pick up on its functions from our experience. The button used to do all of the commands is recessed, which we found prevented it from being accidentally pushed. The GizmoPal has the ability to call up to 2 numbers–one will be designated as the primary caregiver and both phones can have versions of the GizmoPal app on them, which we’ll discuss below. The second caregiver can be anyone of your choosing and will have the ability to call and receive calls from the GizmoPal as well as track it. The second caregiver will not be able to change things on the GizmoPal such as designated ingoing and outgoing approved phone numbers, volume, etc. For incoming calls, you can designate up to 4 numbers through the GizmoPal app that can call the child directly, though 2 will automatically be filled by the 2 caregivers (assuming you assign 2) that the child is able to make outgoing calls to from the device. Texting is not an option on this device nor is accessing mobile games or music. As mentioned above, our youngest has a lot of sensory issues and we loved that we could adjust the volume on this directly through the GizmoPro app. He never found it to be too loud or the sounds too harsh. In order to use the GizmoPal you must have at least 1 smartphone through which you can access the corresponding GizmoPal app. The app on the primarily caregiver’s phone allows you to set up the GizmoPal, assign numbers (ingoing and outgoing), call it directly (you can also call it without the app) and track the location of the GizmoPal device. Keep in mind, only 1 parent/caregiver can have the ability to manage the GizmoPal through their app, while both can track the child. This means only 1 parent/caregiver can change approved outgoing/incoming phone numbers, change the volume, etc. The GizmoPal app must be downloaded onto a smartphone in order to be used. A GizmoPal cannot be setup without the app. You and one other parent/caregiver can easily track your child using the GizmoPal app, though as we mentioned, only 1 parent/caregiver can make changes to settings through the app on his/her phone. 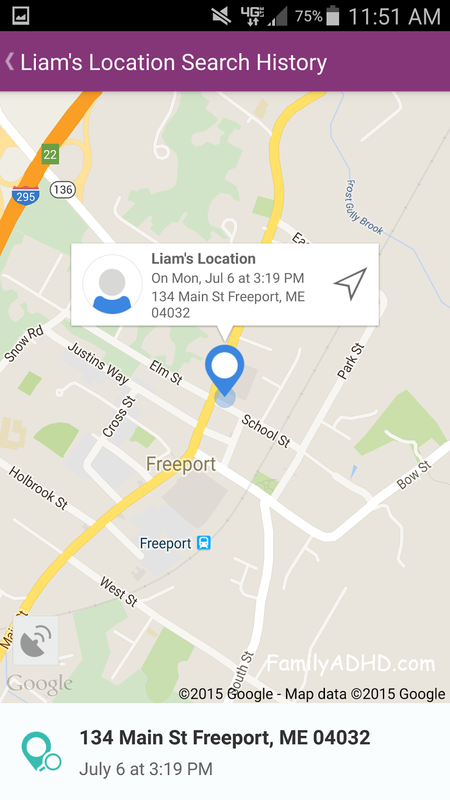 We found tracking to be super accurate within 100-200 ft of our son’s actual location each time. We brought it with us when we traveled to Maine recently to see how it would do and it worked wonderfully. Calls to the GizmoPal can be made both through the app as well as through the dialer on your phone. In order to call the GizmoPal you must be 1 of up to 4 designated numbers set up in the device for approved inbound calls. Calls from the GizmoPal are restricted to a maximum of 2 numbers as mentioned above. You cannot call 911 from this device. Overall, we were all very impressed with the Verizon GizmoPal. The design was cute, the fit was comfortable and it worked well for everything it was meant to do. Our son quickly picked up on the commands and after some initial button-pushing excitement, settled in to only calling us when he needed to. He really enjoyed the fun sounds (definitely great for a sensory kiddo needing a little fun auditory input) and loved being able to have it tell him the time. 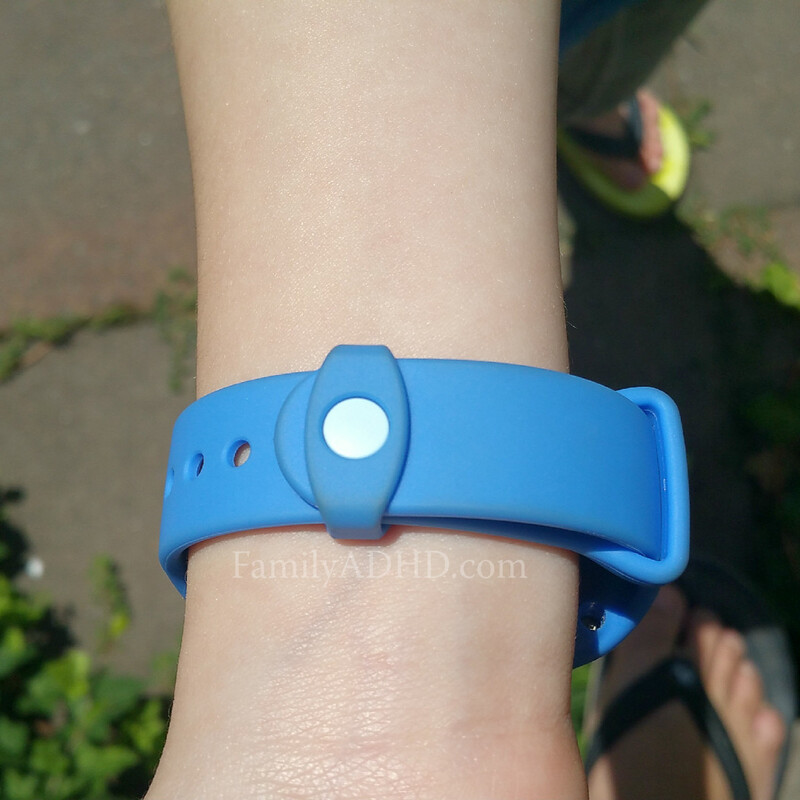 We had discussed prior to testing this out the need to find some sort of tracking device for our youngest as he has a number of challenges, including issues with memory and cannot remember his address, parents’ phone numbers, etc. He has some expressive language issues as well, so at times his speech is not totally clear, so even if he were able to remember some of that info it’s not a given that someone would be able to understand all of it. Additionally, he is a super impulsive ADHDer with no issue darting here and there when the impulse takes hold of him. While we’re thankful to have never lost him (we stay on top of him 24/7), we want to be prepared just in case it ever happens.We appreciated the fact that the volume was adjustable (through the main caregiver’s app) and that the sounds it made and voice prompts weren’t startling in any way. We did have issues with 2 things while testing it out. We were unable to get the app to work on a second smartphone and we were unable to change the ID of “caregiver 2” to a name the way we were able to change the designated primary caregiver’s name. This was a bit of a downer since prompts are given verbally when making calls from the GizmoPal, so our son had to choose between “Dad” and “caregiver 2”. The smartphone we attempted to install the app on as the secondary caregiver met minimum software/hardware requirements, so we’re unsure of why we weren’t able to get it to work, but it could simply have been user error or a random fluke. 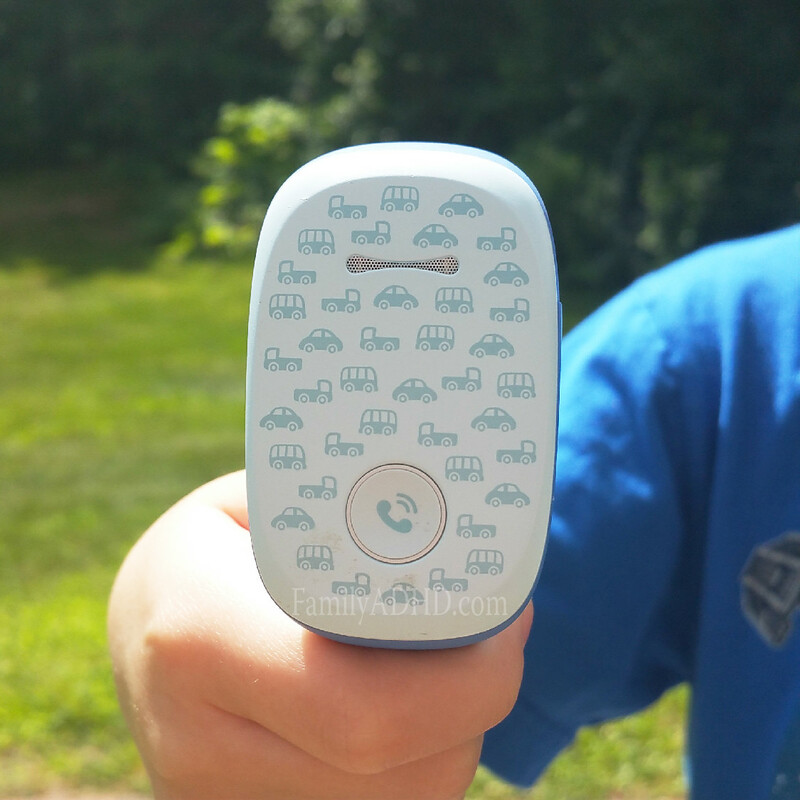 Overall, we’re very impressed with the Verizon GizmoPal and believe it’s probably the phone we’ll finally land on for our youngest. While our oldest is capable of handling a flip phone (which happens to be a model that came with a lot of safe guards for limited outgoing and ingoing calls and texts without paying for additional services), our youngest is at least a couple years off. While we’re not personally looking for our youngest to be able to sit on a phone and chat all day, we do want to be able to call him if he’s not with us and more importantly, we want to be able to track him should he ever get lost. Should we purchase one of our own we’d want to make sure we can get the app to work on both of our smartphones, but that aside, it’s definitely a great device in our opinions and one worth considering if you’re looking for something of this nature! As you can probably tell by his video review above, our youngest loved it. Our youngest provided his perspective to make this review possible. He also completed the video review above entirely on his own! 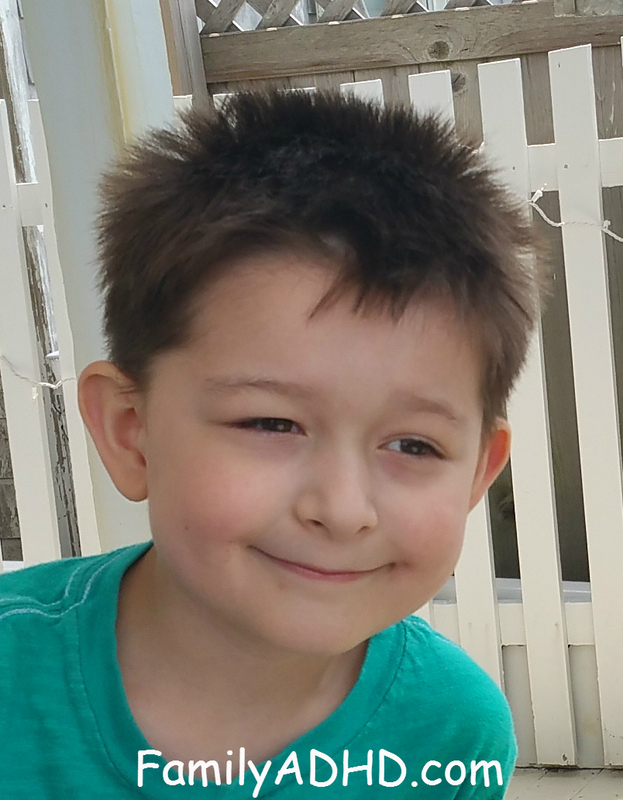 Liam is an energetic little guy full of creative ideas! He has spent a lot of time over the last couple years making his own videos and is excited that Mom and Dad are finally allowing him to share some with the rest of the world through the family blog. While he struggles with a number of different challenges, expressive language skills being among them, he hopes that by videoing himself and working on everything he’s learning in therapy he can improve more and more each day! Note: Products in this post were temporarily provided by PR/the brand. All opinions are our own based on our experiences. I have this in mind for Ry when he gets a little older – I think it's such a cool gadget! Great video as well! My son is dying for a phone. I get that he'll need one to get ahold of us after practices or for emergencies.. but I just do not want him having a cell. He's 8 now and I told him when he's 10 he'll get a phone.. though I never promised what KIND. It's good to know there are options! Definitely! I don't think phones are a one-size-fits-all for kids just starting out. So many options out there! This is super cute and really appropriate for a young child. WOW I seriously love this. This would be great for my niece! I'll definitely be telling my brother. Cool! Yeah, it's such a great little device! It really is! We were surprised by how accurate it was! This is absolutely genius! I think we might have to get one of these for Alea once she starts wandering around the neighborhood with her friends! A bunch of my students have these!